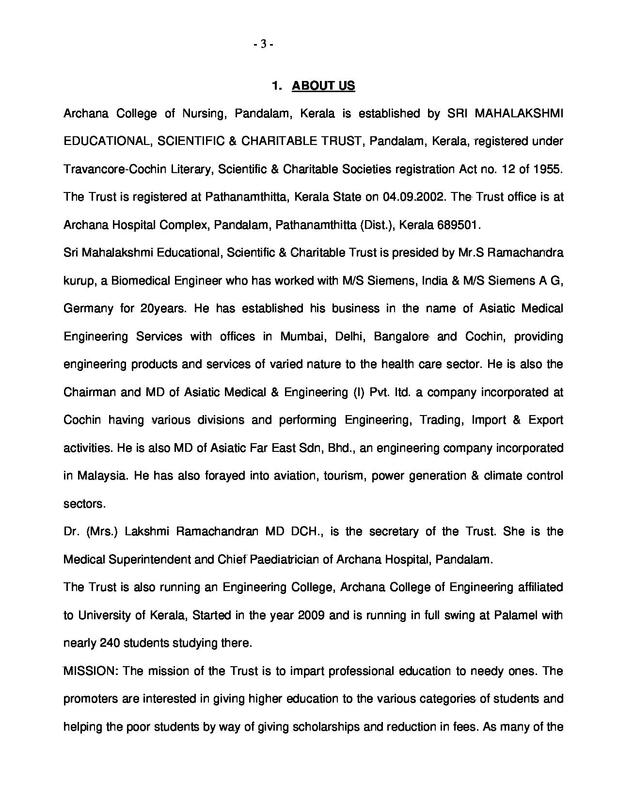 Archana College of Nursing- The basic aim behind the establishment of this college in Kerala is to impart quality education in the field of medicine and nursing which is also a significant part of life. The college has become a pioneer in exposing the young and dynamic minds towards technology and medicine. It has always inculcated high level of moral as well as intellectual values among its students in order to produce them as a well balanced personality. Their extremely talented and skilful faculty members are always committed to create new and innovative horizons for the students to explore. 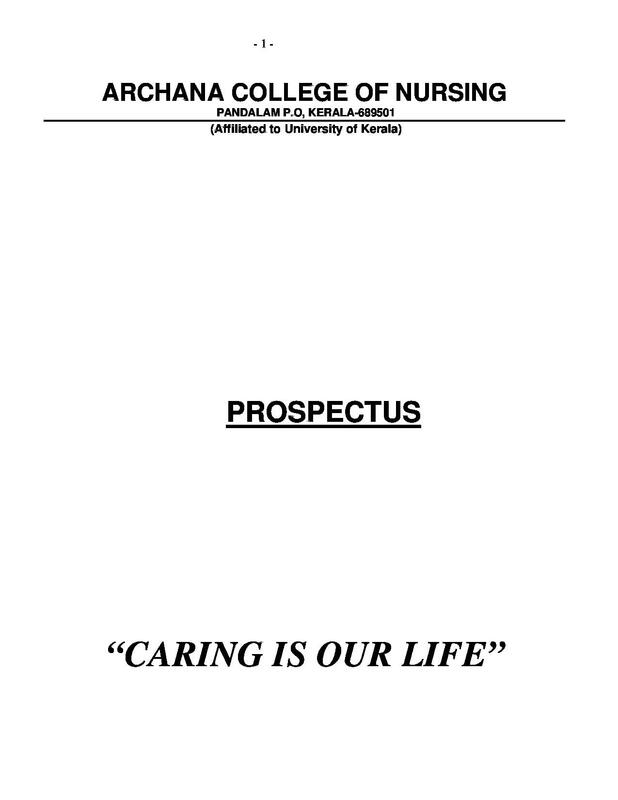 Committed Faculty members: The building blocks of Archana College of Nursing are its completely committed and dedicated team of faculty members who provide best suitable assistance to the students in the field of nursing. Well Lit infrastructure: The College offers perfect ambience for the students to emerge in studies by providing extra ordinary infrastructure. It possesses fully furnished as well as equipped rooms for classes along with all the modern aids for education. Counselling Support for Career and Placement: The College possesses a separate team of experts who provide all the suitable guidance to the students related to their career as well as help them in getting placed to some better designation. Best in Class medical facility: The best part about this college is that the students can take the advantage of world class medical facilities anytime at the multispecialty hospital which is attached to the college. 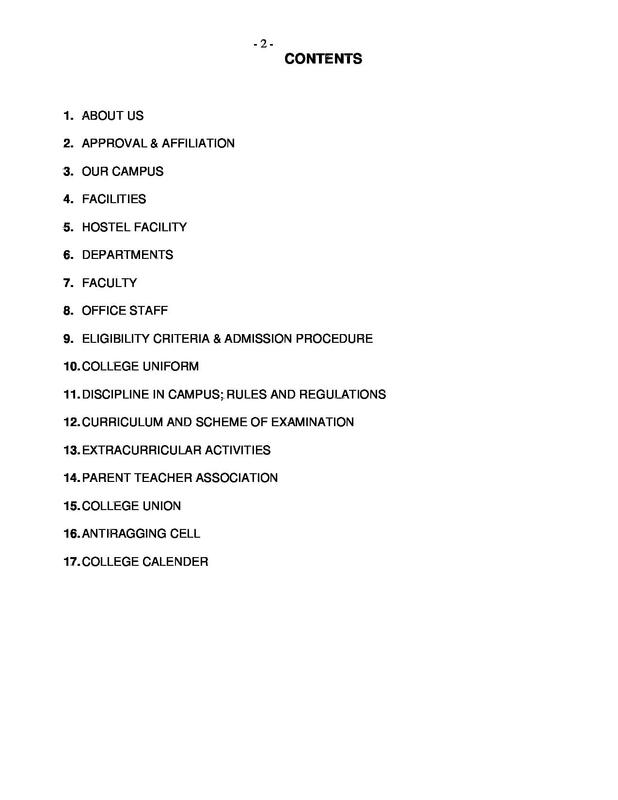 This hospital provides best treatments for the enrolled students of the college along with better platform for job.